On Thursdays I dip into the archives. This post is from June 2009. In a good drama, the protagonist of the story always has a tragic flaw – a character defect that ultimately leads to horrible things happening. For Antigone, it was excessive ambition. For Othello, it was jealousy. For Oedipus, it was pride. (And sleeping with his mother, but that’s another story). My tragic flaw is that I spill things. A lot. I’ve been spilling things since I was a child. I blame it on an unfortunate combination of clumsiness and excessive thirst. I am always thirsty, and always carrying around a glass of water. So much so that my dad warned Mark about the water glasses when we got married. It was actually mentioned during the ceremony. Now you may be thinking that spilling things doesn’t sound like that big of a deal. Sure, the Pergo flooring in my bedroom is all but ruined, and I nearly killed myself by pouring water into a plugged-in sound machine next to the night stand. But when it comes to technology, this poses an even greater problem. Water damage has led to the demise of several of my cell phones (2001 Nokia: dropped in toilet, 2004 Motorola: dropped in pool, 2009 Treo: dropped in bowl of cupcake batter). But the worst spilling episode of all occurred last year when I dropped an entire glass of water onto the keyboard of my laptop. It fried it – completely. It even made hissing noises. Within seconds, I had lost years of data, photos, videos, and documents. Pictures of India’s birth – gone. Records of Jafta’s birth family – gone. Photos of our vacations – gone. Several semester-long class lecture notes – gone. I had never backed any of this stuff up, and it was pretty devastating. In fact, even in writing this, I get a knot in my stomach thinking about all those pictures. Not to mention, I spent the entire fall semester re-writing the course material for the grad psych class I teach. I bought myself a new laptop, and I’ve tried to be more careful with the water, and with backing up my data. I bought an external hard drive. I didn’t actually back anything up, but I at least purchased the thing with good intentions. So the other night I sat down to feed Karis, and my laptop was sitting next to me. I turned on the tv, but I had the wrong remote. The finicky one that only turns the tv on. Probably because I spilled water on it or something. So I turn on the tv, but I’m unable to change the channel or turn it off. The tv is on Noggin and Oobi is on. Oobi. Have you seen this stuff? 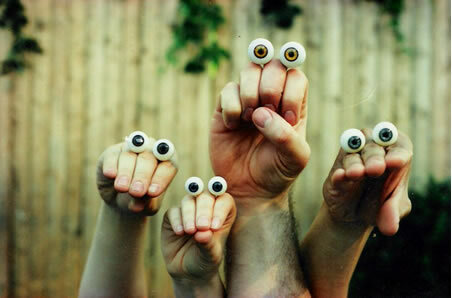 If ever there was a show worthy of a WTF award, Oobi would be the frontrunner. A bunch of hands talking to each other. And not in some sort of symbolic or ironic way. Just a weird, annoying family of hands talking to each other for a whole show. I got a little desperate to turn off the tv, thinking I could be stuck watching the entire show if Karis took her time eating. I jumped up, in fact. In doing so, I knocked a glass of water sitting on the sofa’s edge right onto the keyboard of the laptop. I suddenly found myself in the middle of a predicament. Nothing was backed up, but I grabbed the external drive to try to start moving files in case I had another laptop crash. I was like someone running in to a burning building, figuring out what to save first. The two things on my mind: Karis’s birth photos, and my Vanguard class lecture notes. I will not say which one I choose first, because my darling daughter may read this someday. All I will say is that there were two thoughts that crossed my mind in that split second: a) I really, really, really don’t want to spend another entire semester re-composing those lecture notes, and b) Karis and India look A LOT alike in their birth photos. So alike that you could hardly tell if one picture was swapped for the other . . .
Luckily for me (and for Karis), my computer didn’t totally die, and I did manage to get everything backed up while Karis screamed because she was interrupted during a feeding and left in a bouncy seat to watch Oobi by herself. 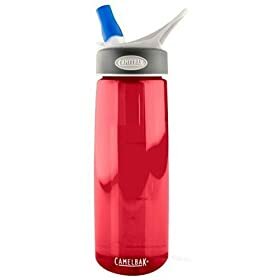 It is the adult version of a sippy cup. We’re hoping it can reduce the spillage around here. From me, anyways. * Any advice on reducing India’s spillage is greatly appreciated, as well.